I state in my Statement of Ethics that if I accept a review sample, I will disclose it at the beginning of the article. Please consider it disclosed. I’d like to thank the folks at Buffalo Trace for providing this sample to me with no strings attached. As always, all thoughts are just my opinion. I recently got samples of this year’s Buffalo Trace Antique Collection. This post will be long enough, so tonight I’m going to forgo all the extremely witty banter I normally provide before the review and instead jump straight into the reviews. But first, a moment of silence for my sample of Sazerac Rye 18 year old. I knew something was wrong when the box UPS handed me was wet. Not being one to cry over spilled whiskey, I posted the photo on Instagram and got a few likes. I thought briefly about tasting the foam padding but decided that a tongue full of glass probably wouldn’t taste all that good, even though it smelled delicious. I guess sometimes the Whiskey Fairy just wants a dram for herself. Purchase Info: This sample was generously provided by Buffalo Trace for review purposes. Suggested retail is $99.99 per 750 mL bottle. Details: 17 years old. 101° proof (up from previous years’ 90° proof). Distilled in the Spring of 2000. Aged on floors 1, 2, and 5 of Warehouse C.
Nose: Caramel candy, allspice, cinnamon candies, and almond. Mouth: Nice mouthfeel with floral, caramel, leather and oak notes. Finish: Nice and long. Ripe berries and floral notes transition to oaky notes of tobacco and dark chocolate. Thoughts: I like this, but I don’t love it. I’m not a huge fan of bourbons once they reach their lower- to mid-teens. I am loving the floral notes on it, but there is a bit too much oak on this for my palate (my wife loved it though, she’s a fan of old oaky bourbons). Details: 125.7° proof. Distilled in Winter 2006. Aged in Warehouses C, I, K, L, M and Q. Nose: Very sweet. Chocolate covered cherries, the nougat from a Milky Way bar, vanilla, cinnamon. Mouth: Cinnamon, vanilla, caramel, oak and campfire smoke. Finish: Long and warm. Cinnamon and chocolate covered cherries linger. Thoughts: Nice and warm. Very sweet. I like this one even though I’m not typically a fan of wheated bourbons. Details: 124.9° proof. Distilled in Spring 2003. Aged in Warehouses C, H, I, K, P and Q. Nose: Caramel, rich leather, ripe berries and pipe tobacco. Mouth: Sweet with caramel, brown sugar, leather and pipe tobacco. Finish: Long and warm. Very sweet. Lingering smoke and tobacco. Thoughts: Rich is the first word that comes to mind on this one. Delicious is the second. I really like this one. It’s my favorite of the three bourbons. Details: 128.8° proof. Distilled in Spring 2012. Aged in Warehouses I and L.
Nose: Spearmint, cinnamon, hints of anise and banana bread. Mouth: Caramel, spearmint, very hot, great mouthfeel. Finish: Long and warm. Spearmint, baking spices and just a touch of dill linger. Thoughts: This is my favorite of the four. The bourbons were mostly sweet and this is a nice change of pace from that. It’s very warm, but not overpoweringly so even at full strength. I like this one a lot. This was my first time sitting down and tasting across the BTAC lineup (or, more accurately, 4/5th of the lineup). I’d had most of them in the past, but only one at a time. It was interesting to see how similar the bourbons were, even though there was a difference in proof and mash bill. There is some “Buffalo Trace Flavor” that comes through on each of them. 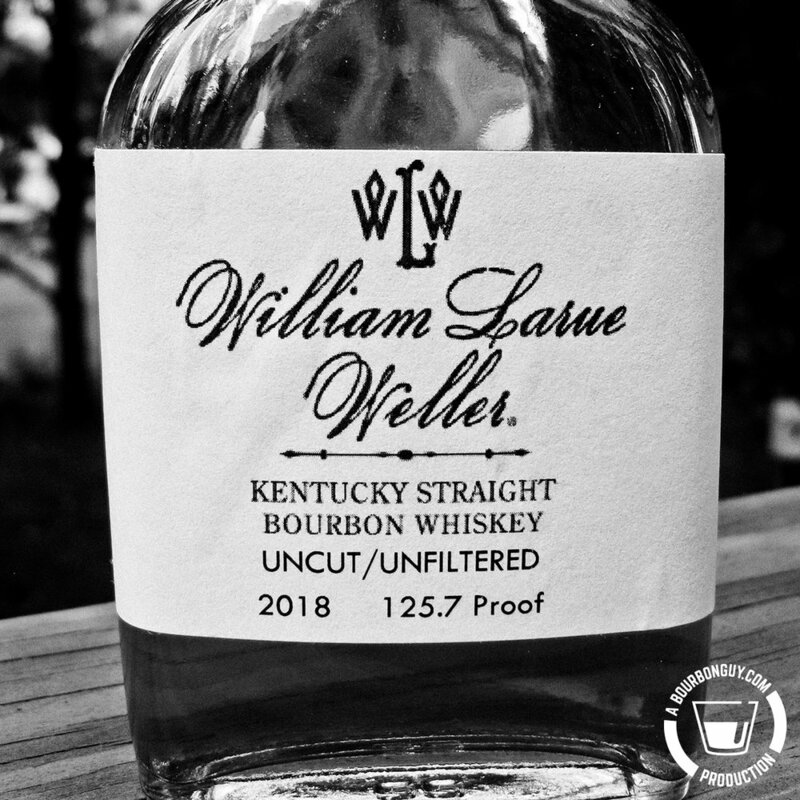 It’s a testament to their quality control that the “house” flavor is present in both the bourbons distilled in our current decade and in the bourbons that were distilled in the decade previous. It means they aren’t messing around with things. Thomas H. Handy is simultaneously the only one of the line I’d never tasted and the only one of the line I’ve ever seen on a retail shelf (years ago, before this year’s release was even distilled). It is a big, bold rye that has all the minty and herbal notes that I look for in a good rye. I was really impressed with it. I was impressed with them all in fact. I think they are worth every penny that Buffalo Trace is recommending they sell for. But based on the relative availability and quality of other bourbons in that price range, I don’t know that I would feel comfortable paying inflated retail or secondary prices for them. Details: 90° proof. Barrels filled in 1998. Nose: Mint, bubble gum and almond. Mouth: Follows the nose with mint, bubblegum and almond, then adds cardamom and nutmeg. Finish: Long and warm with lingering mint, cardamom and almond. Thoughts: I preferred the Handy Rye over this, as I preferred the relative “brightness” that it’s youth provided. That said, I also like this one a lot. When compared to the others in the range it is in the lower half.